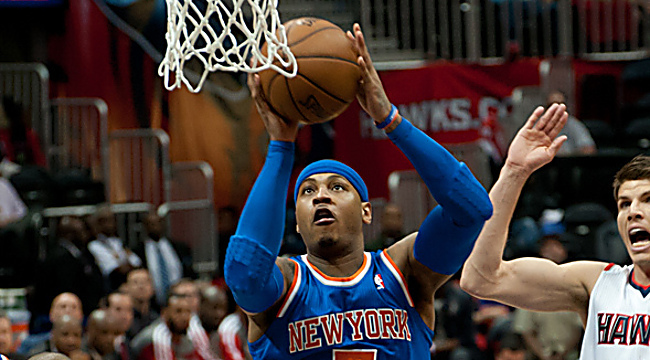 Carmelo Anthony was a key pick for Dave Gawron at #22 overall in the third round. Being able to draft Durant was huge for me, setting big anchors in points and free throws. Lawson was the point guard that fit my mold best at that point, and Anthony is just a slightly lesser Durant for my purposes. I really wanted Paul Pierce in Round Four, but Granger, when healthy, will give me threes from the PF slot. I love the upside of George, and the Knicks have a great playoff schedule in this league, so Felton fits right in. Wallace can get me steals from the PF position, and Williams, Williams, and Hill give me more threes, assists, and steals. That just leaves me with gaping holes at center, so I grab Davis, Kaman, and Hickson but am fine to drop them for something better down the line. I believe I accomplished my mission perfectly and look forward to a fun season!